Our Cheese Oatcakes are delicious on their own or try them with a tasty topping for a satisfying snack. For a quick bite try adding some parma ham. A great lunch box alternative to the traditional sandwich. A perfect accompaniment to a hearty bowl of soup. At Nairn's we love our oats and that's why we've created a range of delicious, gluten free food that everyone can enjoy. Naturally, oats do not contain gluten, but can be contaminated by contact with other grains. Nairn's gluten free oats are grown in completely separate fields to ensure they remain free from contamination. 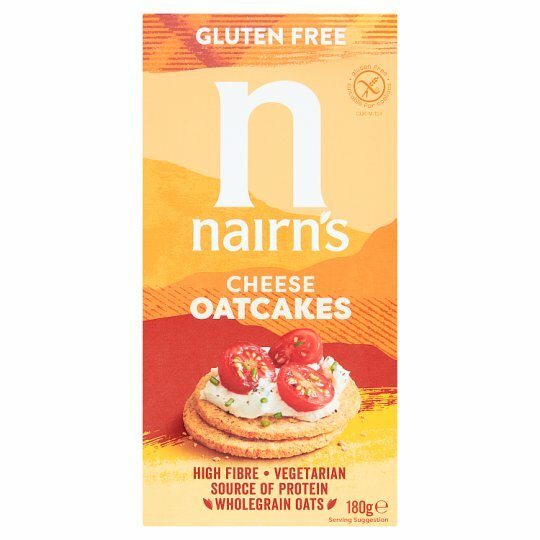 They are milled in strictly controlled conditions and then made into delicious oatcakes in our dedicated gluten free bakery, using Nairn's years of expertise in making oaty products.